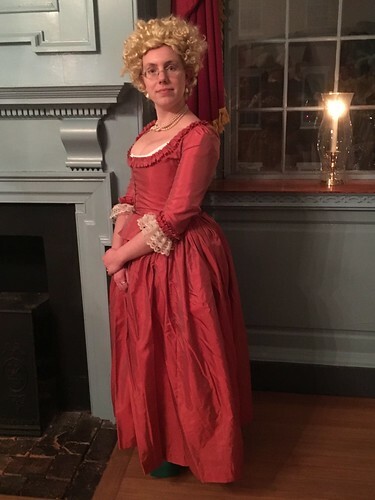 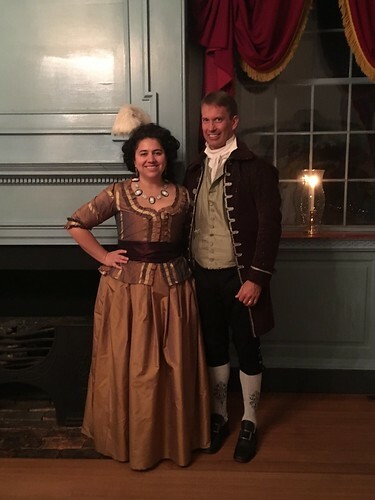 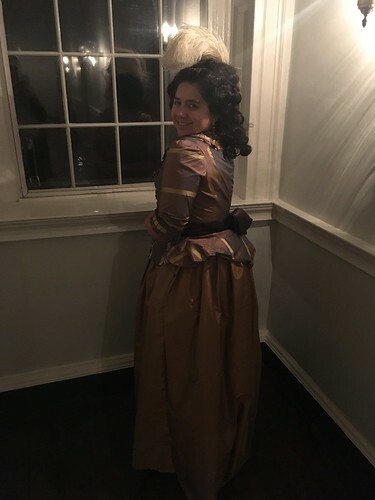 November also brought a ball at Gadsby’s Tavern to which I finally wore the second of two 18th century jackets I made with fabric bought years ago in Germany. 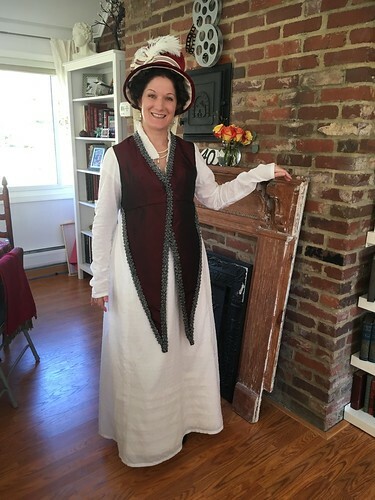 I got one meter each of some pretty fabric, and I was able to very carefully turn them each into a jacket. 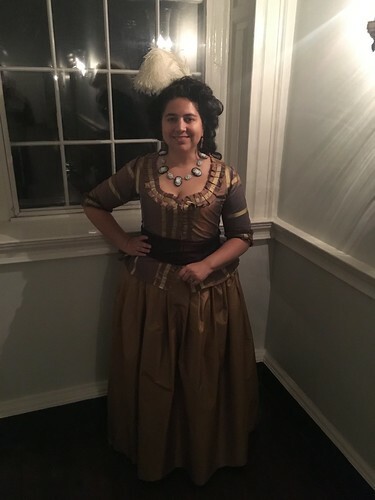 I completed this a while ago but only now wore it. 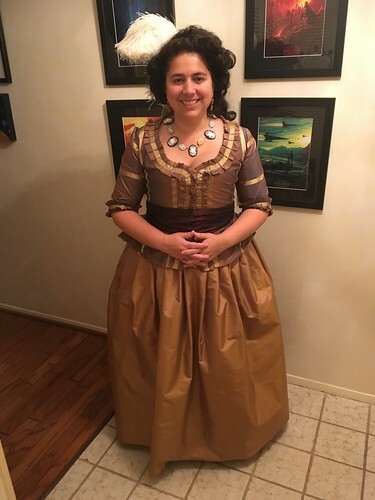 I whipped up a quick petticoat in gold silk taffeta to go with, and grabbed some “dead dino” a.k.a. 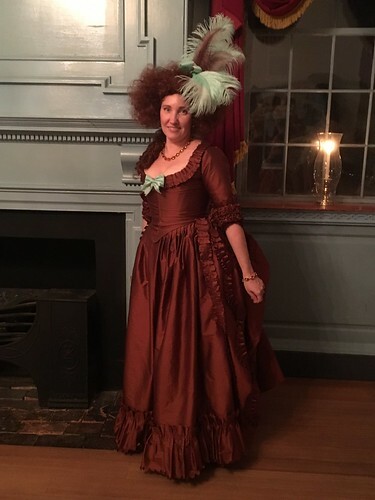 synthetic fabric for a sash. 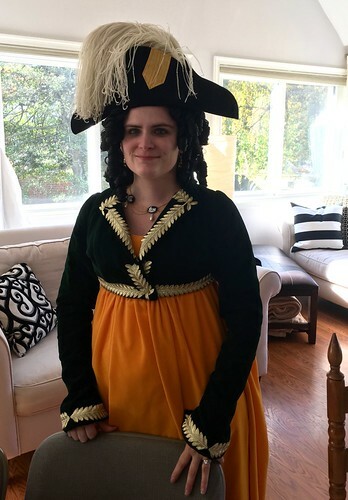 I believe this is the reverse side of the fabric I used to line my Pirates of the Caribbean gown! 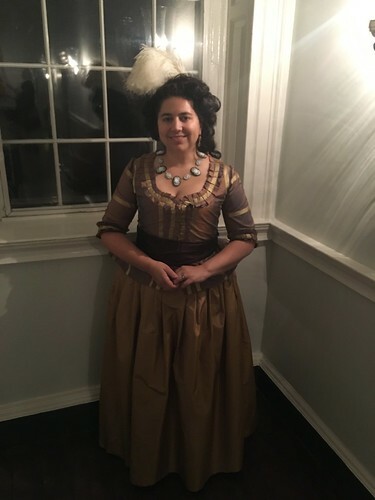 The necklace is by my friend Gloria: https://www.etsy.com/shop/inthelongrun, and I wore antique earrings you can’t see very well here. 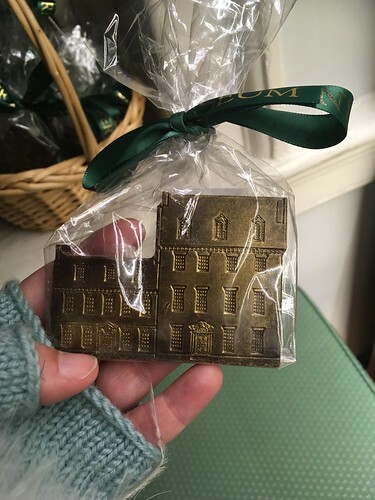 At the Gadsby’s giftshop, a chocolate Gadsby’s Tavern! 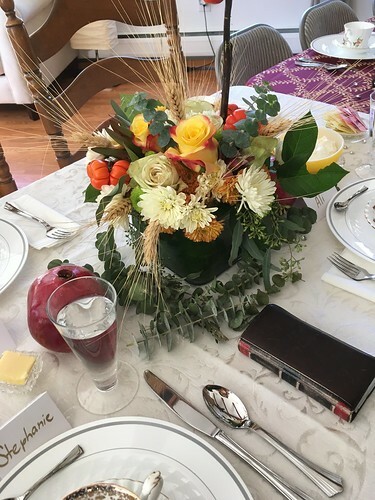 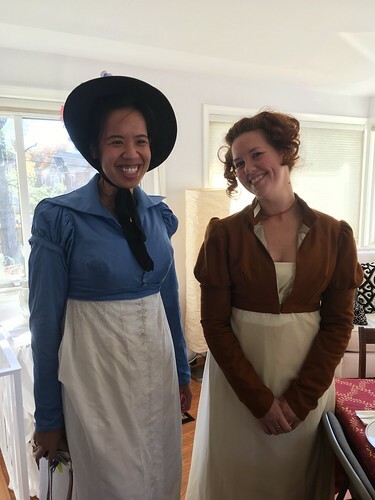 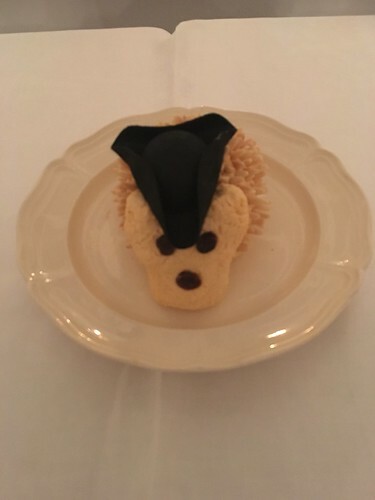 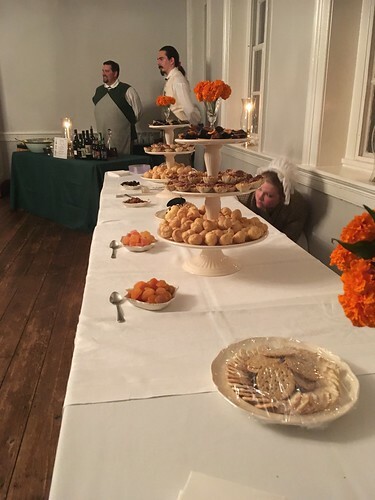 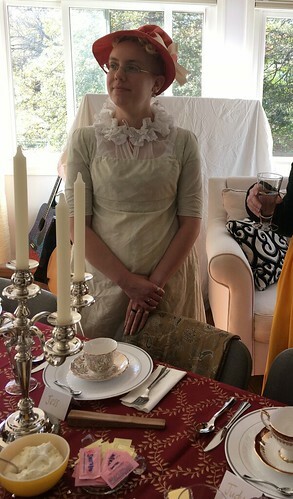 Back in November, I had a lovely time at a friend’s Regency Pumpkin tea! 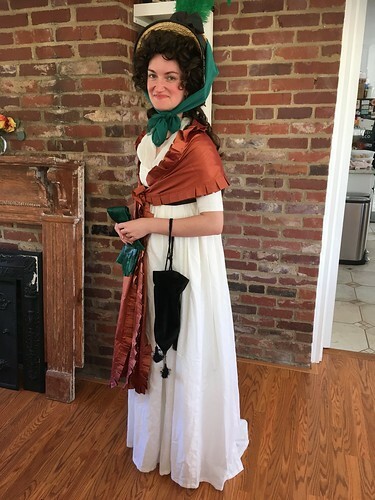 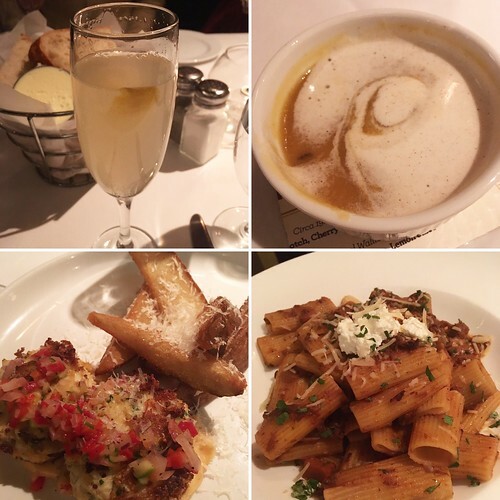 Here’s a bunch of photos!